Lunging cord (5,5m) with 2 snap hooks. 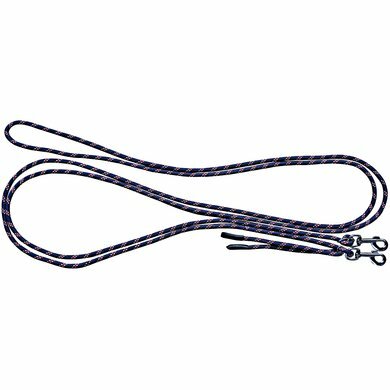 This lunging cord is meant as an alternative side rein when lunging. 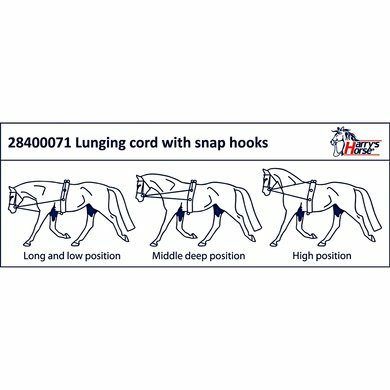 The cord is easy adjustable on both ends and it comes with a full description of all the possible lunging positions. The lunchtortoort is easy to use in different ways which is also nice in this way you can train your horse in different ways during lunging. Question: Is this a cord as a whole or are it 2 separate ropes to add? Answer: This is a whole.